Prices for cleaning do vary depending on the condition the carpet is in (Heavily soiled or lightly soiled) how much furniture there is to move and so on. The way it is worked out is a square metre rate which is worked out during the pre-inspection process. This is the same for Tile Cleaning as well. Upholstery cleaning is priced upon inspection only guides are given over the phone but we do try to be close to the price. Yes our products are as environmentally friendly as we can get. For many years we have been concerned about the environment (long before it was fashionable) and have always strived to use best cleaning practices. We recycle bottles and compost the dust from the vacuum cleaner where possible. In short we use advanced environmentally sustainable cleaning technology and have an ongoing program to source new processes and products so you can feel safe in your choice to have your carpets cleaned by Adelaide Cleaneasy. How Often should my carpet be cleaned? 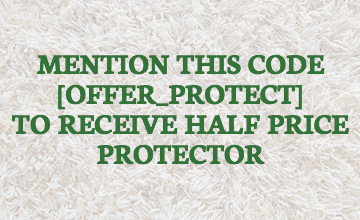 The Australian Standards AS/NZ 3733 recommend that carpets be cleaned every 12 months. Here at Adelaide Cleaneasy we recommend that rooms that are used regularly are cleaned every 12 months, but if you have a formal lounge room that you may not use often as long as you vacuum them they can have a few years between cleans. How long before I can walk on my carpets? 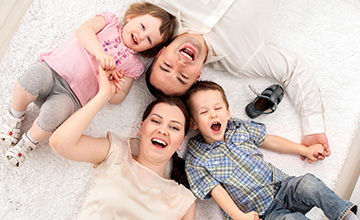 You can walk on your carpets immediately after cleaning is completed by Adelaide Cleaneasy. We normally recommend that you put a towel down to wipe your feet on before you walk on the carpet to stop soil being tracked on the carpet and to wipe your feet on as you come off the carpet to reduce the chance of slipping on your hard floors.